Thin wall injection molding is increasing in popularity as material costs continue to rise and delivery lead times are squeezed. Thin wall molding offers the opportunity to reduce material part cost and to increase production output through faster cycle times. This trend is taking place in all types of injection molding industries such as automotive, packaging, electronic, medical, optical, mobile communications and computing equipment. But the fact is, thin wall molding is very difficult to master. It is littered with traps to the unaware. Thin wall parts have a wall thickness of less than 1mm. The size of the part also plays a role in the definition since the bigger the part, the more injection pressure is needed to fill the mould cavity. Click here to scroll down to an example of process parameters for a thin wall part. Typical food packaging parts are in the range of 250:1 The higher the ratio the more difficult it is to mold. Benefits of Thin wall Parts. Minimizing wall thickness is the key to making lighter parts and improving production outputs. A thinner wall section allows shorter cooling time and cycle time. Thin wall molding requires injection molding machines that have the ability to generate high injection speeds, high injection pressures, are repeatable and are rigid enough to be reliable for the long term. These machines are expensive. Similarly, the injection mold needs to be strong enough to withstand high cavity pressures, clamp tonnages and production rates. A poorly designed mould will break very quickly. 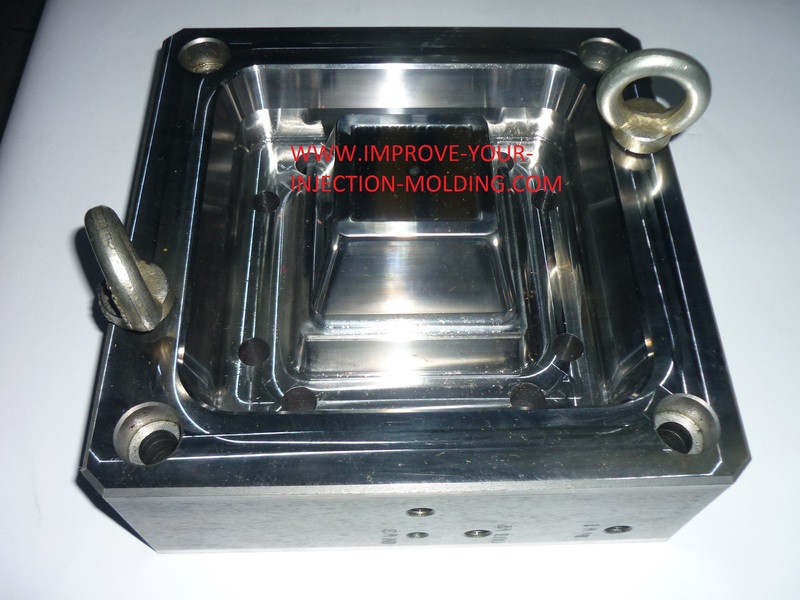 The mold cooling system design must be optimized so that heat is extracted quickly. Just having thin walls on a part is not enough to get fast cycle times. Expect to spend substantially more on both machines and moulds compared with general purpose molding. You simply have to spend the money to get long term reliability and quality. If you skimp on price then you will get ongoing quality issues and machine breakdowns. Thin wall injection molding requires new technology machines that have a multitude of control functions. Learning about the machine and all of its functions will allow you to get the most out of it. What’s more, process parameters play a vital role in successful thin wall molding. To produce quality parts the process needs to be fine-tuned as the operating window for parameter settings is very narrow. Some parts require injection times of 0.1 second and any variation in this time will cause part quality problems such as flashing or short shots. Parts with thicker wall sections have a much bigger operating window and are easier to mold. Often robots are used to remove and stack parts in thin wall molding. This is especially common in food packaging. Learning how to use the robot effectively is another area that must be mastered. Because moulds for thin wall parts are made with a very tight tolerance, mould maintenance needs to be done daily. Any build up of residue across the venting surfaces will result in part quality issues especially on multi cavity moulds. Finally, learning how to trouble shoot effectively is necessary. Even if you have high quality equipment and have well trained people there will still be quality issues. Thin wall molding magnifies the smallest faults in a mould, a machine or in wrong process parameter settings. If you are currently injection molding thick walled parts and are considering a reduction in thickness, be aware that any slight change will effect the process. Higher clamp tonnages and injection pressures will be required and there will be more stress on the machine,mold and process technician. So make sure your machine is not operating on the limit before deciding to reduce wall thickness. The key to being successful in thin wall injection molding is to grow the business slowly. This gives time to develop markets, save for new technology equipment and to properly train process technicians and management in the exact science of thin wall molding.